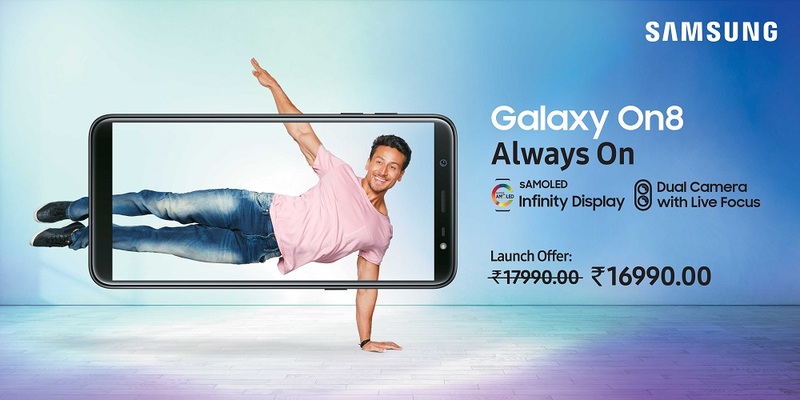 Last month, Samsung unveiled the Galaxy On6, a rebranded Galaxy J6 sold exclusively online. Perhaps renaming existing phones is working out for Samsung, because the company just did it again. Today it announced the Galaxy On8, a phone identical to the already-released Galaxy J8. The phone sounds okay on paper, but it falls flat when compared to other phones sold in India. For example, the Redmi Note 4 is about ₹6,000 less on Flipkart right now, but has a beefier Snapdragon 625 and a larger battery. The only stand-out features of the On8 are the AMOLED screen and dual cameras. The Galaxy On8 will be a Flipkart exclusive, with an introductory price of ₹16,990. The MSRP is supposedly ₹17,990, which is actually higher than the Galaxy J8's original price, but it seems unlikely that the On8 will actually ever be sold for that much.